Are you excited about Polish Con!? I certainly am. 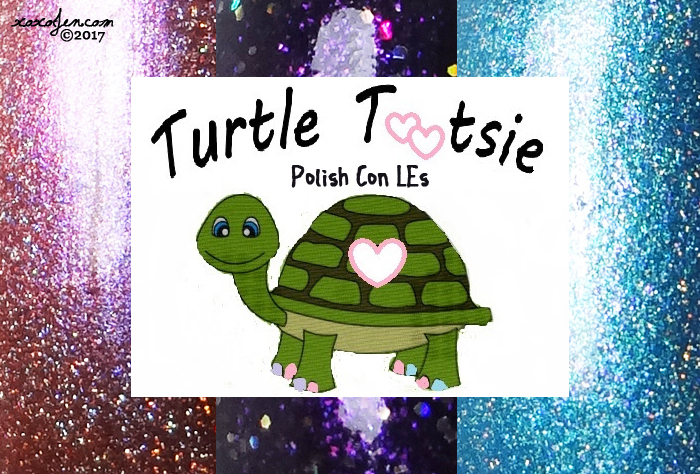 And here's one more reason to get excited, Turtle Tootsie will be launching these limited edition polishes at Polish Con for $10 each or all three for $27. They are limited in quantity, and any overstock will be listed in her shop after the event. Each polish has a different finish and hue, a nice variety to choose from here! Dream Big - An orange, rose and purple multichrome holographic polish. Can I just say wow? 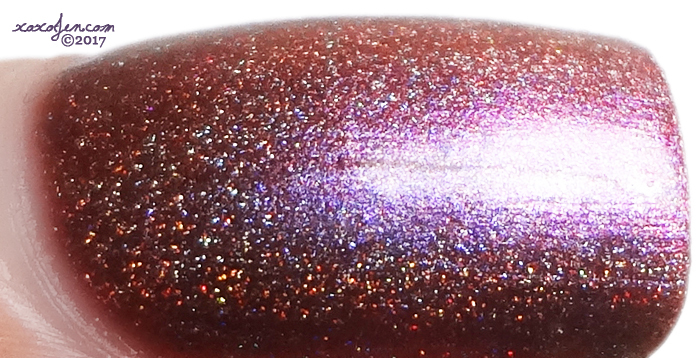 It's coppery, it looks orangey in some lights, almost red-brown in others and that purple shimmer is omg, then there's a big holo punch under bright lights. I wore two coats and topcoat - and this is my favorite of the three. 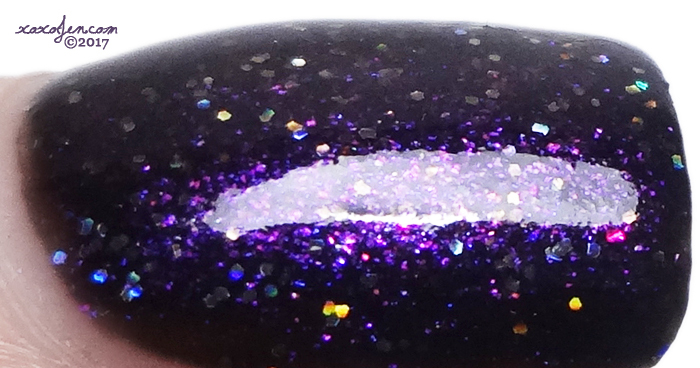 Sparkle Always - A black jelly polish with silver holo micro glitter and purple shimmer. I wore two coats and after topcoating was smooth and glassy. Formula was good and easy to apply. 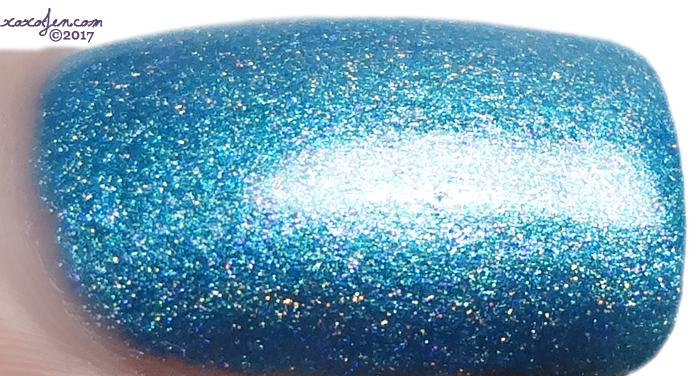 Shine On - A turquoise blue linear holo polish with purple shimmer. This is bright like the sky and opaque in two coats. I did find this formula just a tad thick, but not unmanageable.